Hello friends. This post might be a little long because I feel like I have to put in some context for people to know what exactly I'm asking. When I was younger, specifically 9 or 10, I had found a love for Egyptology and I was openly Kemetic (although at the time I didn't know that there were others who had similar beliefs). I had a connection with Anpu/Anubis, and I believed him to be my protector, and a sort of father figure. However, when I went into middle school (in the American education system), there was a class that discussed religion and how all other religions except Christianity, Islam, and Judaism were mythological, nothing more than story fabricated by ancient peoples. People knew that I was open about my belief of the gods, especially Anpu/Anubis, and when we were in this class, I would be bullied and teased for believing a "false religion". Because of all of this peer pressure, I decided to stop connecting with the gods. Essentially, I forced Anpu/Anubis out of my life, when he ultimately didn't deserve to be treated as poorly as I treated him. 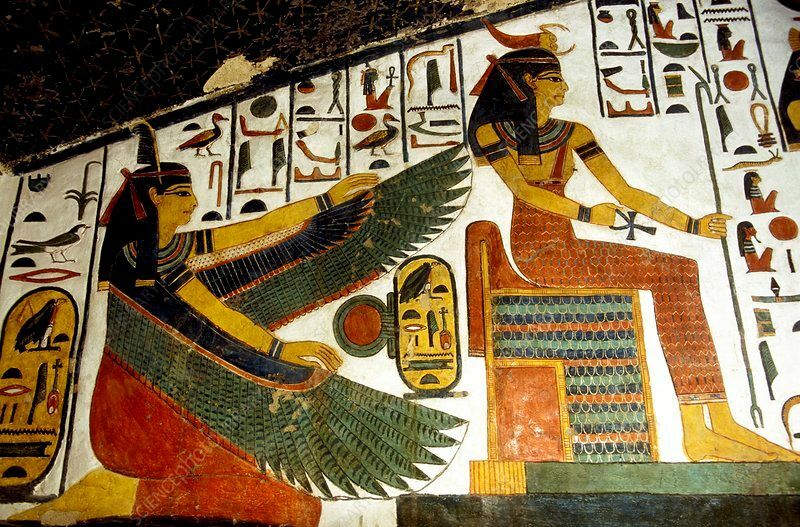 When rediscovering my desire for spirituality, I returned to Kemeticism and I immediately noticed how hesitant the Netjer were to make contact with me. I have a feeling that this is because of my treatment towards Anpu/Anubis. It took me several months to finally be able to connect and contact with the Netjer, and Sobek was the first I was able to connect with. However, lately, I've been wanting to contact Anpu/Anubis and make amends with him. I feel like I've dreamt about him lately, or at least I've seen him in a dream, but within the dream I wasn't able to actually make contact. I'm still relatively new to Kemeticism, but I've already positively established contact with other Netjer. All I want is to be able to rebuild the relationship I once had with Anpu. My main question is how do I approach Anpu/Anubis after such a long time of separation? How do I ask forgiveness from him after treating him poorly? What can I do to apologize to him and re-establish contact and hopefully our relationship? Any ideas would be greatly appreciated. Light a candle. Pour some water. Tell Him just that. Honestly, Netjer understands all this. I'm more inclined to blame your guilt over what happened as the block to the connection than I am to think that He is genuinely offended. You need to forgive yourself, too. I agree. That was beautifully said, Taji. As Taji said, you have to forgive yourself! You were a kid and susceptible to negative messages about the gods. No god worth hanging out with could hold that against you. I think when you are able to set aside your guilt, you will find that he's been waiting for you and is happy to have a relationship with you again. If you're having trouble letting go of your self-judgment, you can also ask the other Netjeru you have relationships with to help. One-hundred percent what Taji said. The Gods are extremely loving and understanding. I sincerely doubt They would hold other people’s meanness against you. You were a child who was being bullied you can't look at yourself too harshly for that. Anpu will not hold that against you. Give an offering and pray to Him about the situation and I'm sure you'll hear back. Like everyone has pointed out already, I also believe Anpu/Anubis truly understand the situation and all it will take is to tell Him that you wish to reconnect and offer Him something as well. You may find that He simply stood back at the time, just waiting till you felt ready and has always been looking out for you till then. I cannot give any better advice here, however I wanted to say that deciding to change and follow your heart is half the battle. Yinepu/Anubis will forgive you or else lead you on to an even better place to find your joy. Thank you all so much for the advice. I'm figuring out how I'll start this communication and I'm looking forward to building up my relationship once again. As I figure out what to do, I'll also learn to forgive myself as well, which is personally one of the hardest things for me to do. I appreciate all the feedback and reassurance!